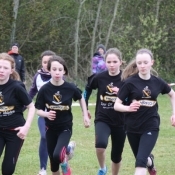 The Woodies DIY National Junior and U/23 Track and Field took place in Tullamore today in conditions that ranged from t shirt sunshine to umbrellas and rain jackets, a typical Irish Summer`s day in other words. 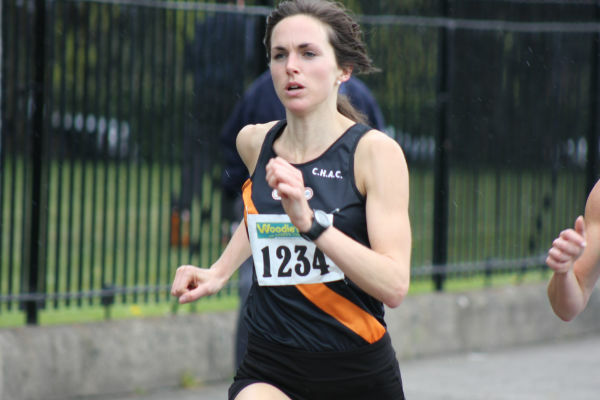 Overall it was a very successful day for Clonliffe with the club`s athletes taking 3 junior medals, all silver, and 6 U/23: 2 gold and 4 bronze. 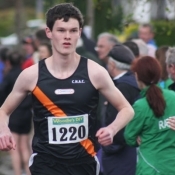 Starting off with the Junior Championships Ryan Cleary set a new PB in the 5,000 walk of 24.52.60 in finishing second. 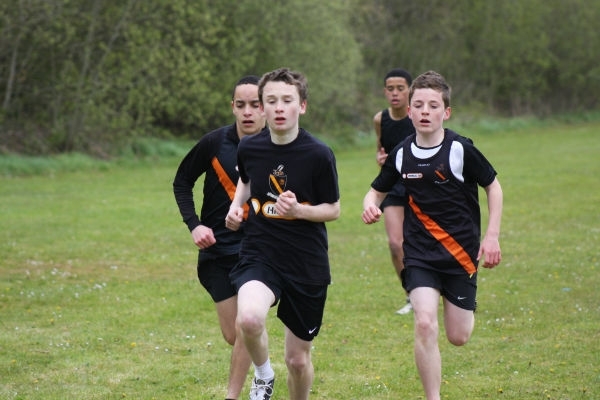 Ian Guiden was a fraction off his PB in taking silver in the 5,000m and Ryan Whelan threw 49.78 for Javelin silver. 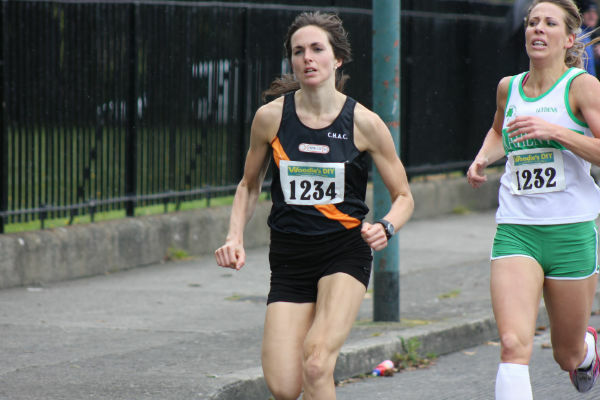 In the 400H Elaine Begley was some way off her best finishing 6th (66.08). Simon Galligan was 5th in the hammer (50.73). 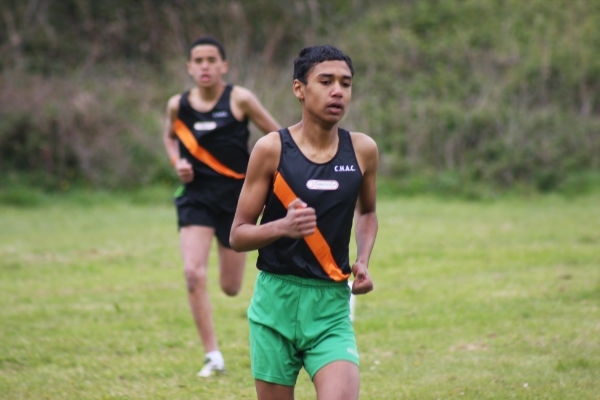 On then to the U/23`s where Jayme Rossiter had a noteable win in the 3,000sc adding this title to his National Intermediate Cross Country. Jayme running 9.22.47, well clear of second. 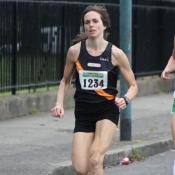 Gold also for the ever improving Lorna Begley in the 1500 taking the National title in 4.48.05. 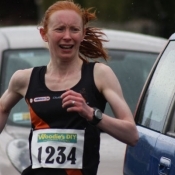 Orna McGinley had a very good run in the 800m placing 3rd (2.20.32). Mark McDonald was just out of the medals 4th in the 1500 in 3.58.91. Andrew Jenkinson put his recent injury woes behind him to take bronze in the 400m (51.81). 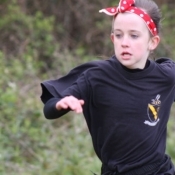 Leah Moore took 100 and 200 bronze, 12.14 and 24.79 . 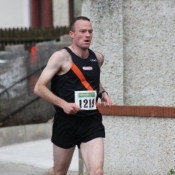 Stuart Roche qualified for the 200 final, however, DNS. 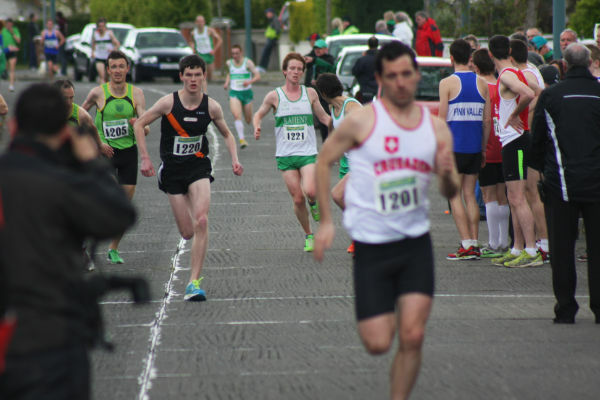 Meanwhile Gary O`Hanlon continues to burn up the roads. 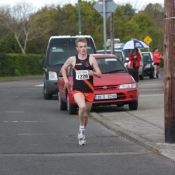 Gary`s latest was on the roads of Dunshaughlin last night where he won the Michael Manning Memorial 10k in 31:27. 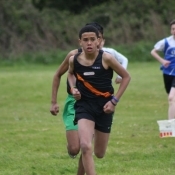 Tom Frayne was 45th in 36.37. 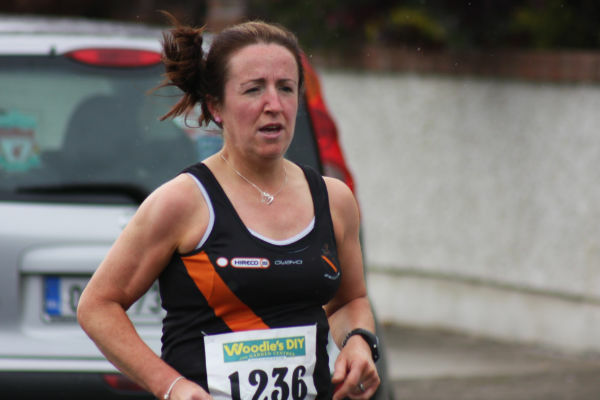 Sunday and Gary`s in Wexford for the stradberry Half Marathon. A second place finish in 74:22. 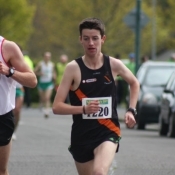 Other Clonliffe , 3rd Ronan Hartnett 77:16, 6th Eoin Murray in a superb PB 79:36, 12th Mark Bermingham 82:13, 16th Jeremy Chapman 85:05, 21st Ger Kirwan 87:19. 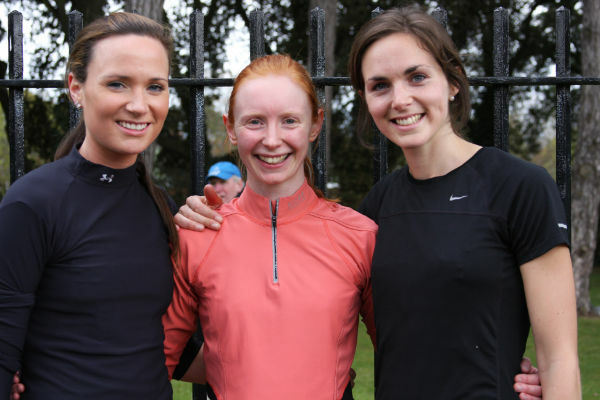 A rain free day in Santry! Today`s North Leinster School`s brought a welcome change in the weather, while needless to say there wasn`t any sunshine there wasn`t any rain either. 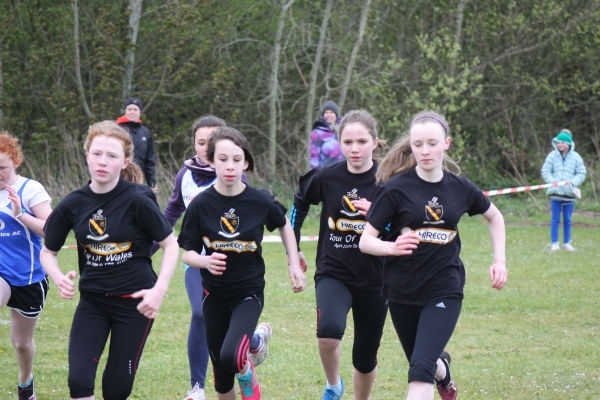 The Clonliffe athletes put in another successful shift with safe passage negotated to the Leinster finals for several athletes but great efforts from all. The middle distant lads really shone today. 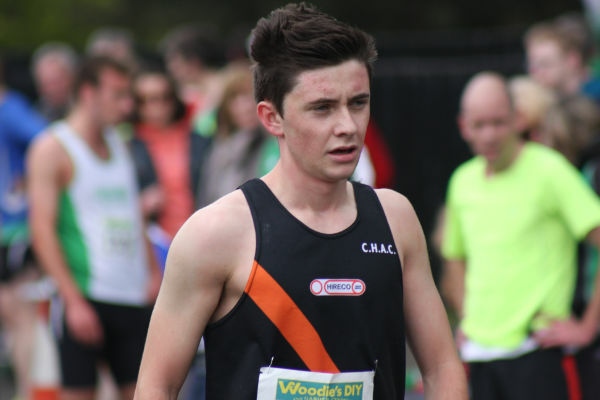 Aaron O`Hanlon was excellent in the inter 1500 with a gun to tape victory by some margin in a sub 4 minute time of 3.59.1, only a fraction slower than his PB. 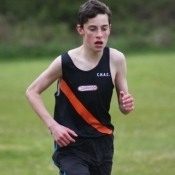 An excellent run also by Ian Guiden in the senior 1500 finishing 2nd in 4.02.9, a PB by a massive margin. 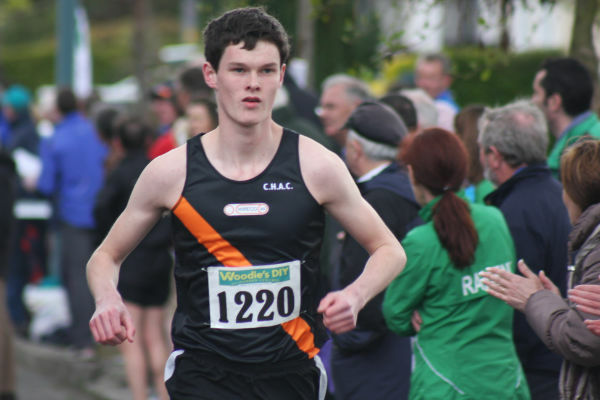 Conor King also impressed running 2.07 for 3rd in the senior 800 after a blistering 60 second opening lap. 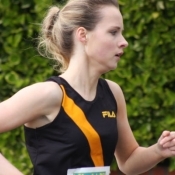 Shauna Reilly was dominant in the inter girls 300m, winning both her heat and 90 minutes later winning the North Leinster title. 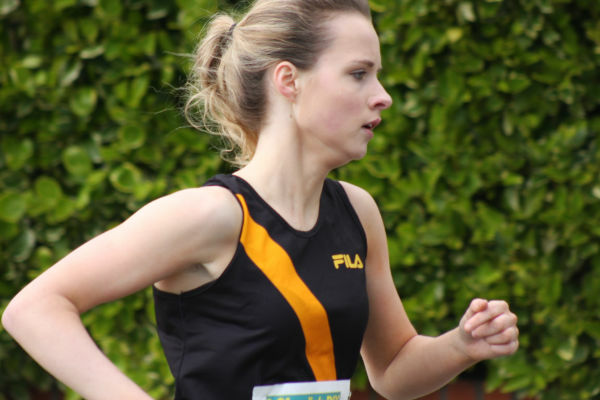 A very good run also today from Roisin Leahy in the senior girls 1500 finishing second but impressing with a superb final lap closing the gap significantly on the leader. 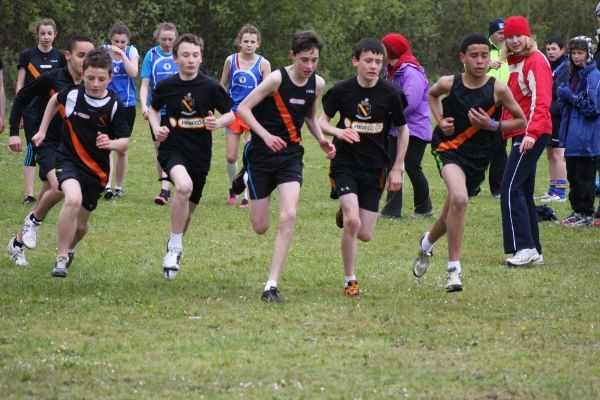 The junior 1500m featured several Clonliffe lads. 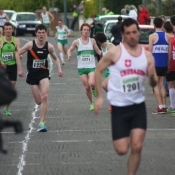 In this one top of the pile today was David O`Hanlon running an agressive 2nd and 3rd lap to claim silver (4.33) from Cathal Doyle (4.40) bronze with Adam O`Brien (4.52) 7th. 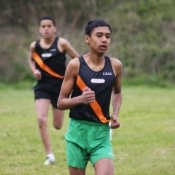 Five minutes later and Adam was back on track running the U/16 mile, once again brave but wise? A tired 5th place. 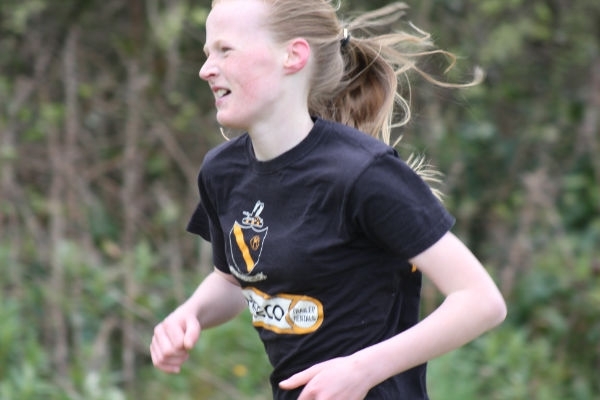 In the girls U/16 Mile Laura Tuite ran a very mature race and was just over hauled for 3rd place on the last lap. 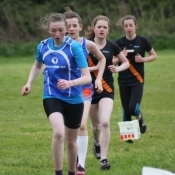 Laura finishing in that unlucky 4th position in a PB of 5.43. 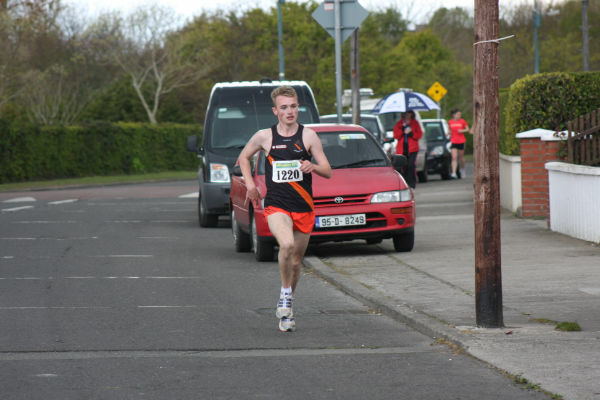 Joseph Hession was back in form today with a really good win the the minor boys 1,100. 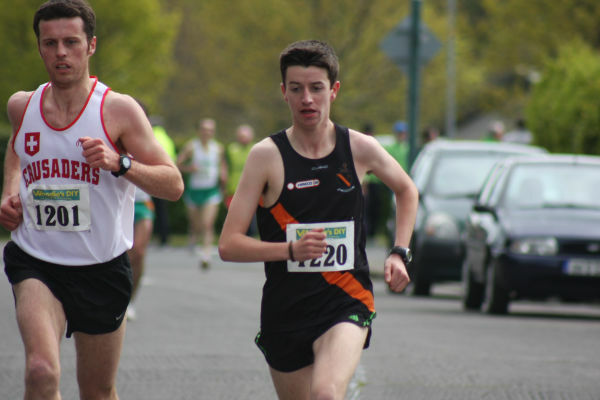 In the minor 800 Sean Carrig was 2nd with Greg Hessonny 3rd. 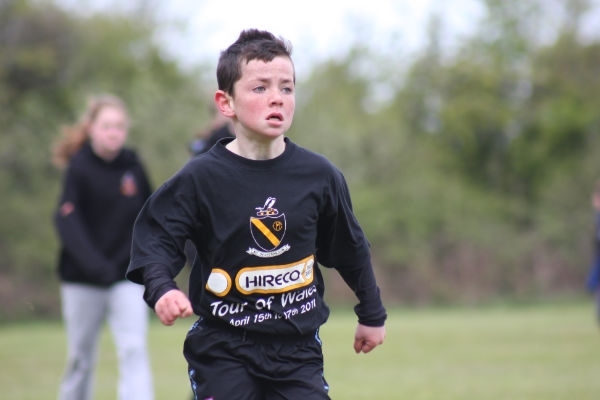 Paddy O`Hanlon had a busy day. 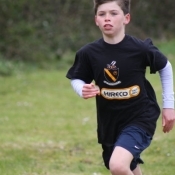 First off qualifying from his junior 800 heat, then finishing 2nd in the long jump with a 5m plus jump and then lining up for the 800 final. 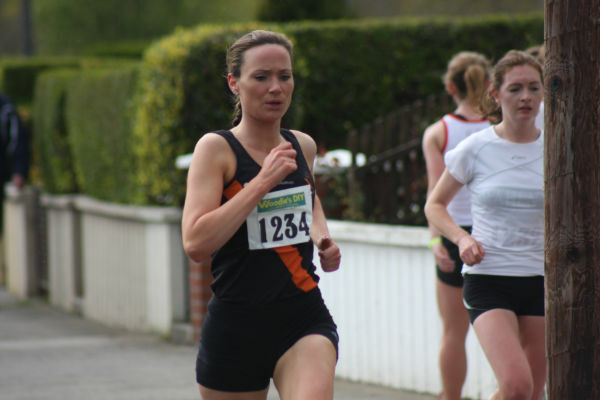 All of which took it`s toll as Paddy finished a tired athlete in 8th place. 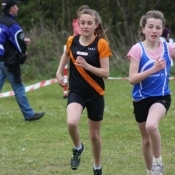 In the minor girls 1,100 both Alannah Cooley and Amy McGrath progessed to the Leinsters finishing 3rd and 4th. A word also about Thomas Ward who had his first ever encounter with hurdles and surprised all in finshing 4th and still able to walk! 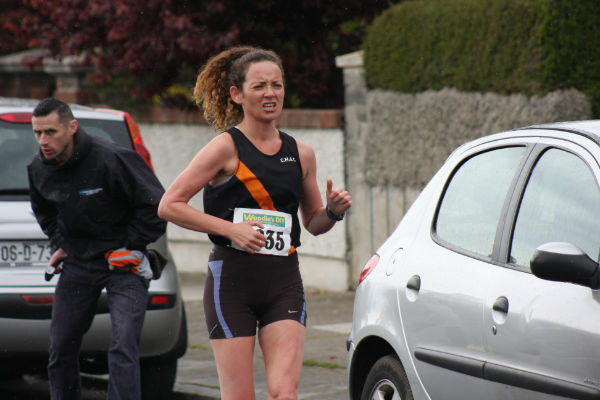 Day 2 of the North Leinsters in on Friday. 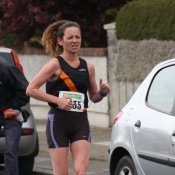 Meanwhile south of the Liffey at the Irishtown stadium in Ringsend Elaine Begley won the East Leinster senior 400h. On Friday for day 2 Elaine comes down in distance for the sprint hurdles. The 2012 Payton Jordan Cardinal Invitational took place at Stanford University in California last night. 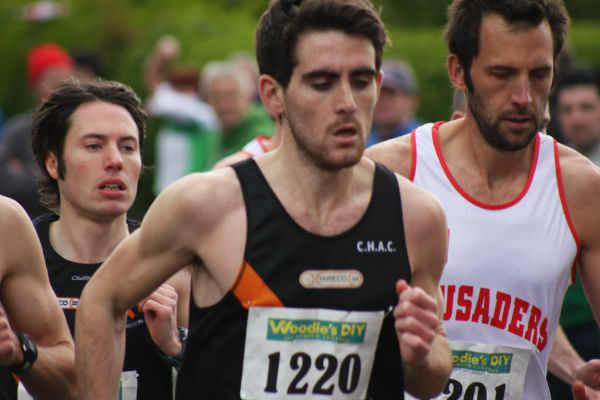 Pre-race Clonliffe’s Alistair Cragg had indicated that his target was trying to dip under the Olympic 10,000 A qualifying time of 27:45 and whilst in the early stages the Clonliffe man was on target things clearly went awry with Alistair calling it a day six laps from home. 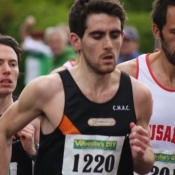 Clonliffe old boy Josphat Boit, Cragg’s training partner, and former Irish National Champion in the Clonliffe colours, won the 10,000 B race in a sprint finish by 100th of a second in 28:11.75. 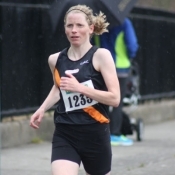 There is also the fantastic news of Fionnuala Britton running well under the Olympic 10,000 A standard finishing 3rd in a time of 31:29.22 (the A standard is 31:45.00). 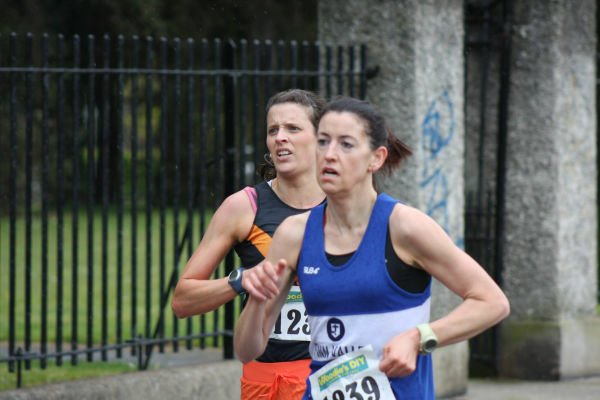 Meanwhile the Samsung 10k Dublin Night Race took place in Dublin City Centre last night in horrendous conditions. 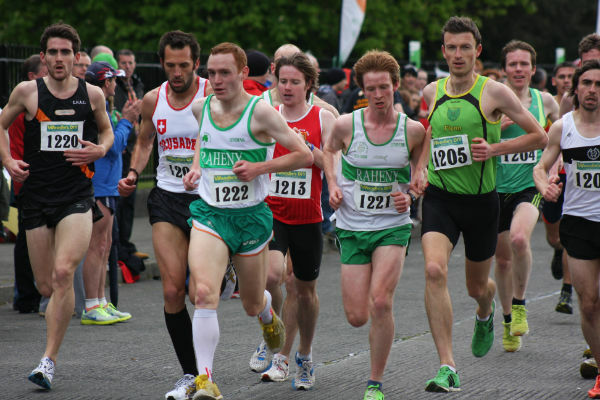 A good run from Darren Reilly to finish 6th in 34:42. 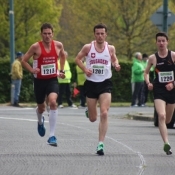 It was also good to see in the field Nigel Brunton finishing 41st in 38:34. Well done to the thirty Clonliffe stewards who officiated on the stretch from O’Connell Bridge up to and beyond Beckett’s Bridge and ended up like shivering drowned rats! 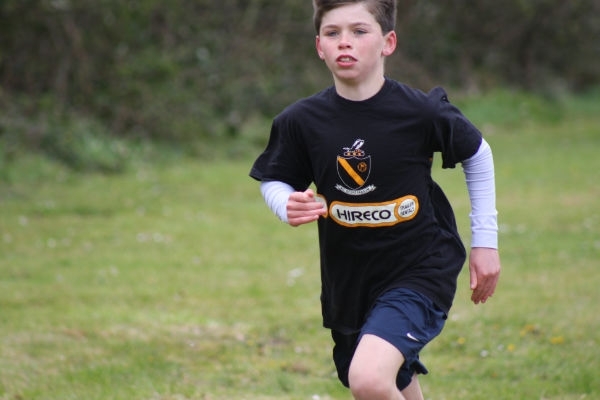 The Juvenile inter club Spring Series concluded with round 3 in Newbridge House this morning. It was a bitterly cold morning with a wind that would have left many a cat skint so well done to all of the athletes and indeed their families who turned out. 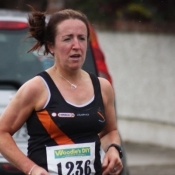 Today`s round was hosted by Lusk AC who did a fine job running the programme off in a most efficent manner it was also good to see that the series has expanded bringing in athletes today from newly formed Ballyboughal AC and also Lambay Sports. 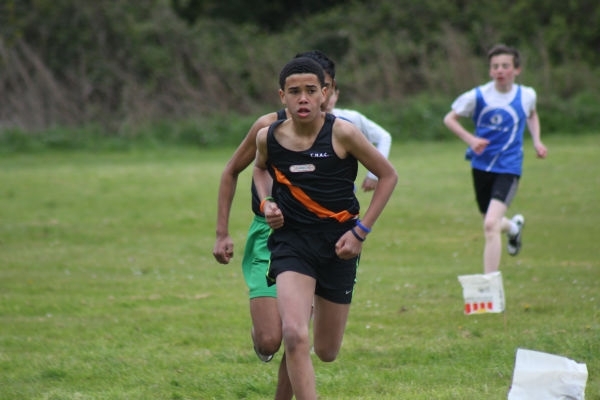 Today brought some great efforts from Clonliffe athletes who have performed very well indeed throughout this series with Clonliffe athletes winning 7 of the 12 races. 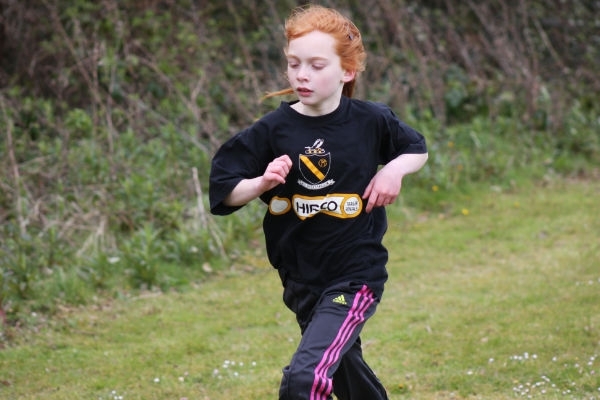 These included fine wins from Sally Sumola in the U/8 300m, Eva Keogh in the U/9 500m, Amy Hodson and Gavin O`Brien in the U/11 600m, Fintan McManus, chased all the way by the fast finishing David Tuite in the U/13 600 and in the U/17 mile a great win from Cathal Doyle from Adam O`Brien. 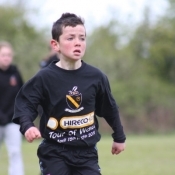 Race of the day may well have been the Carrig/Hossenny U/15 rematch over 800. Sean Carrig leading them out at a good lap over lap 1, however at the bell Greg powered into the lead and just managed to hold off Sean to even the score. 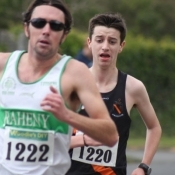 30 seconds later and Sean carrig was on the start line for the U/17 mile, brave but maybe not so wise…. 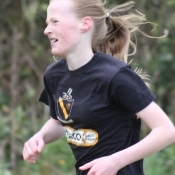 The U/15 and 17 girls all ran well Alannah Cooley was 3rd in the U/15 800 after a good run with Sophie Higgins, Kate Hession and Amy McGrath not far behing. 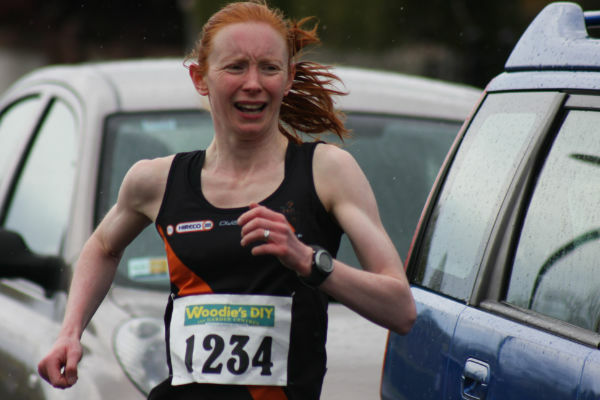 Laura Tuite battled well in the U/17 mile to place 3rd with a tired Sally Aherne in 4th. So the end of a great little series for 2012. 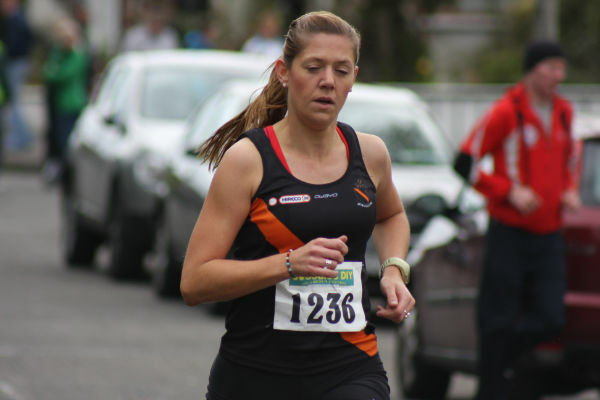 Thanks to Skerries AC and Lusk AC for their great contributions and we look forward to another Spring Series next year. It`s Wednesday night at the Morton Stadium, it`s lashing rain, there`s a gale blowing, it`s freezing. 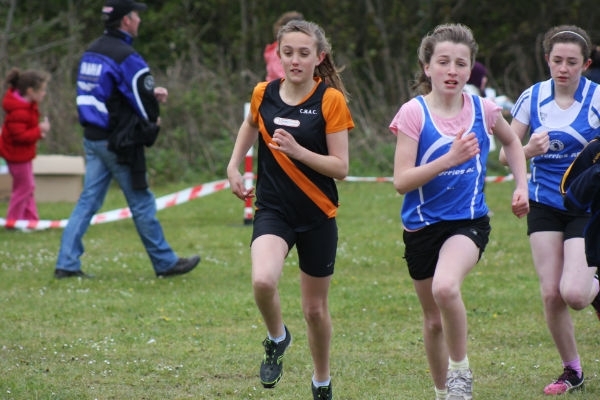 All this means, of course, the first Graded Meet 2012 and the start of the track season. And so it was tonight, all of this. The conditions were simply awful. Numbers were considerably down having regard to the night that was in it. A hardy band of Clonliffe men left the huddle in the warmth of the stand to take their places on the starting line. 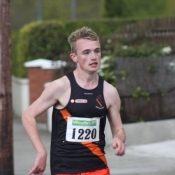 First off was young John Buckley running in what was for him an unfamiliar race the 800m in maybe the worst conditions of the night as the wind did it`s best to blow the field from the back straight right back to start line, young John battled away to finish around 7th in 2.21.8. In grade A Andrew Jenkinson lined up looking for a good run, however, his effort only last 200m as a foot injury cause him to pull up sharply and in some pain. 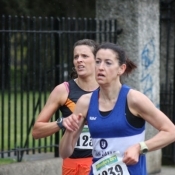 The B 3000m featured a Clonliffe quartet. 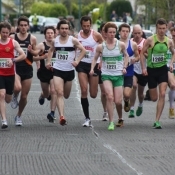 Darren Reilly ran a very well judged race sitting in second place and as lap after lap the leader surged coming down the home straight with the wind at his back opening a lead at times of some 10m, Darren would always pull him back into the wind, until a lap from home when Darren surged. A winning surge it was too. 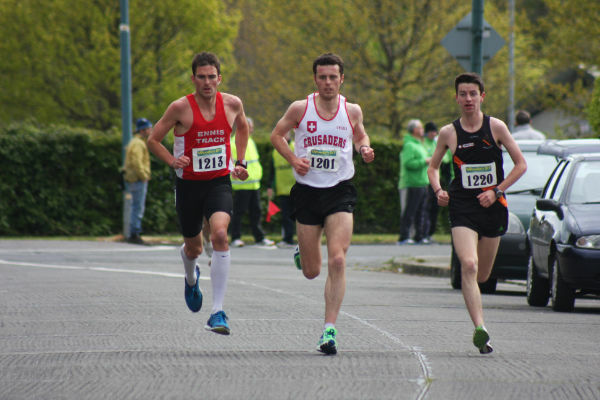 Darren taking a good win, by 20m in 9:32, a good run behind him as Ernie Ramsey won the inter Clonliffe battle with Joseph Cooper, Ernie 3rd in 9:39, Joseph 4th 9:40 and Anthony Malone 9th 10:03. Well done lads. 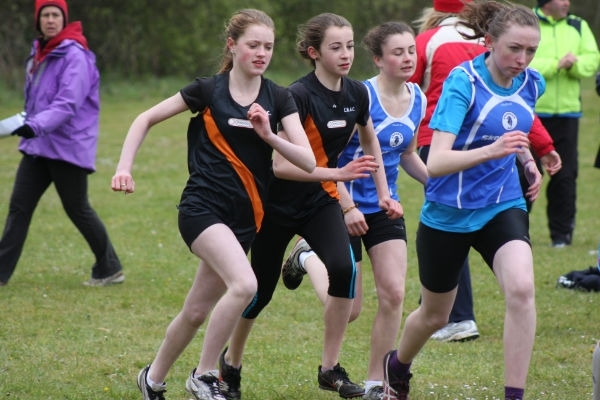 Next graded meet will be in the Summer! May 16th in Irishtown. On the card that night will be 200m, 1500m, shot putt, discus, triple jump and what promises to be a great Dublin 10,000m championship. 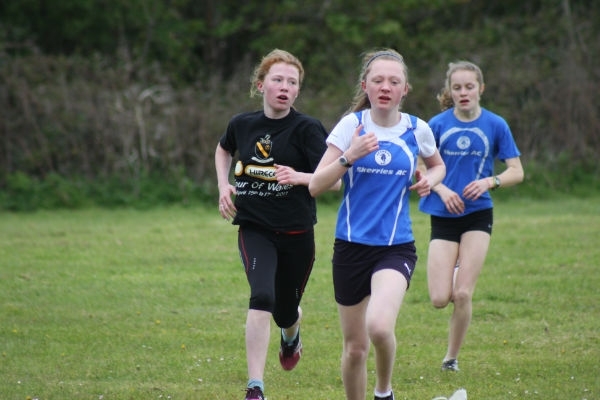 The first of the Leinster region qualifiers on the road to June`s All Ireland Schools track and field, the West Leinsters took place in the Morton Stadium today. 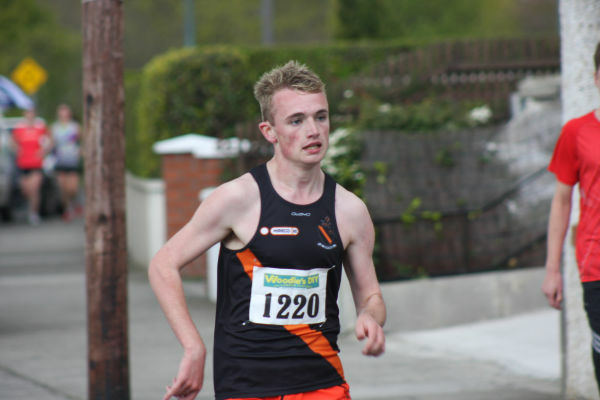 A good win from race walker Ryan Cleary in the senior race, along with Keith Pike`s senior 100m win and Rachel Murray`s U/16 mile win were the highlights from a Clonliffe perspective. 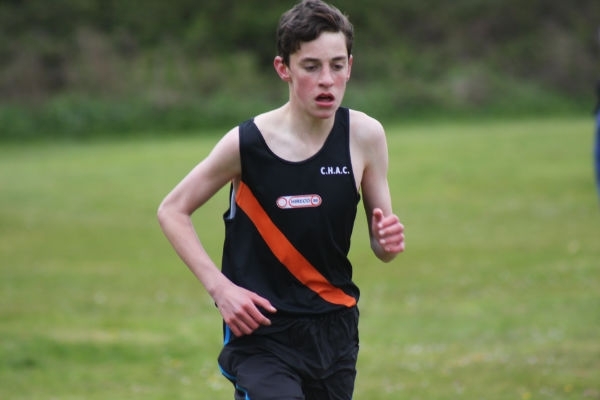 Other good performances included Eoin McCullough 2nd in the senior 2,000sc and Sally Aherne`s 3rd place in the junior 1500m. 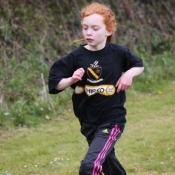 Day 2 of the West Leinsters is on Thursday. 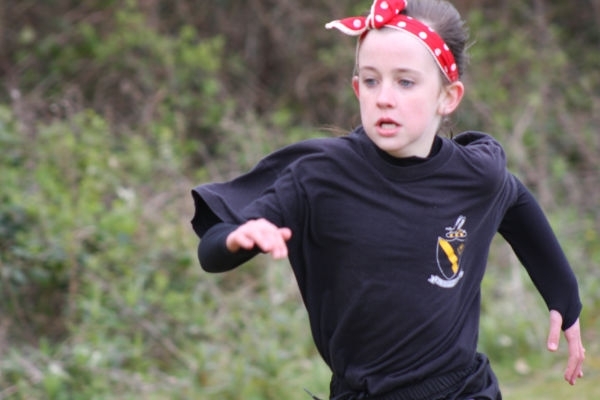 Next week, Wednesday and Friday, sees the North Leinsters in the stadium, while the East Leinsters takes place next week in Irishtown on 1st, 2nd and 3rd days of May. 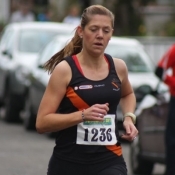 At today`s National Road Relays in Raheny the senior women took bronze with a great performance from the Clonliffe trio of Eleanor Alexandra, Ailish Malone and Louise Reilly behind a crack DSD squad 1st with Raheny 2nd. 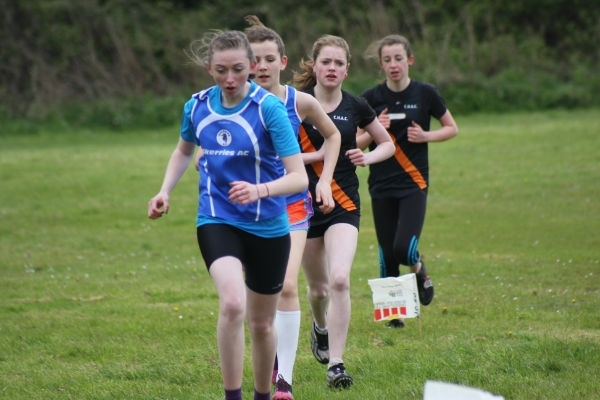 Eleanor had an outstanding run in leg 1 recording a time of 5.06.5 handing over in 1st to Ailish who record an excellent 11.23 for the 2 mile leg with Louise running 5.33 to take team bronze. 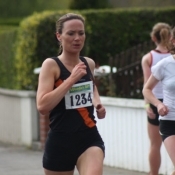 The B team also ran very well: Emma Cooper 5.35.6, Fionnula Doherty 12.05 and Lorna Begley 5.47, only 2 days after her superb Versities 1500 bronze. 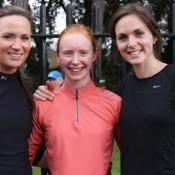 The C`s recorded Tara Whyte 5.48.3, Kerri Page 13.32 and Sinead Hartnett 6.26. 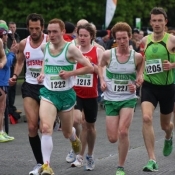 The senior men`s A team was mainly comprises of up and coming Clonliffe athletes indeed the old man of the quartet was Conor Healy, the other 3 are still juniors. 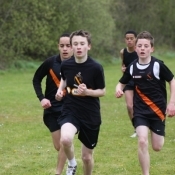 The team put in an excellent performance with fine runs by all four to finish in 5th place. 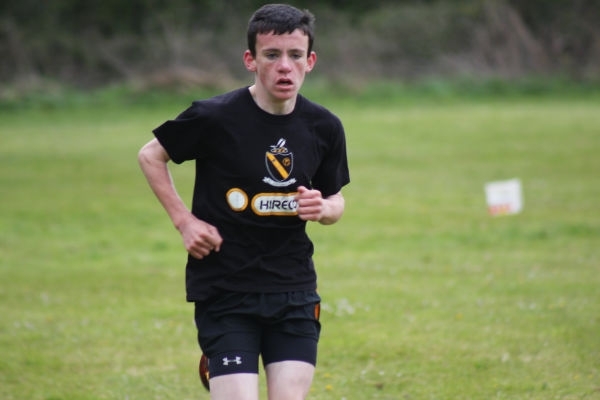 Conor Healy ran 9.42.6 for the opening 2 mile leg, followed by a 4.42.7 mile from Fintan Doherty, Ian Guiden put in a strong 15.32 in the tough 3 mile leg and Aaron O`Hanlon a fine 10.00.5 for the final 2 mile leg. 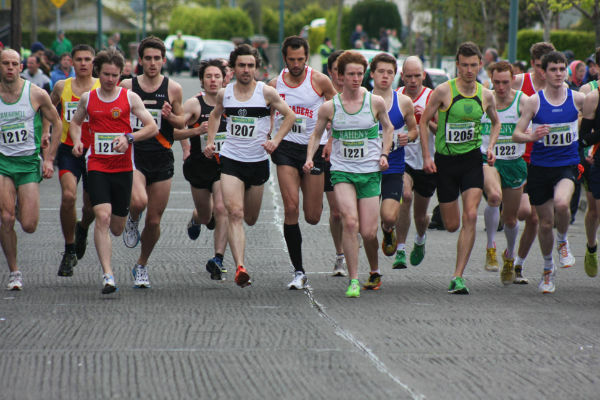 The B team also put in a good day`s work: Darren Reilly 10.21.7, Mark McKenzie 4.52, Ernie Ramsey 16.16 and Niall Sherlock 11.13. 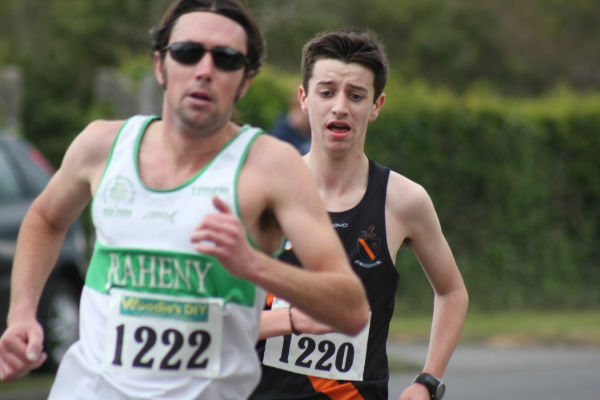 At the front of proceedings there was a fantastic battle between Raheny and Rathfarnham as both squads ran shoulder to shoulder until Sean Hehir`s super finish to take the National title for the southsiders. 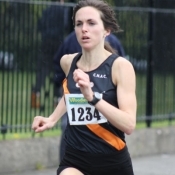 There were medal winning performances by Clonliffe athletes at this weekend`s Irish Universities Track and Field Championships held in Athlone. 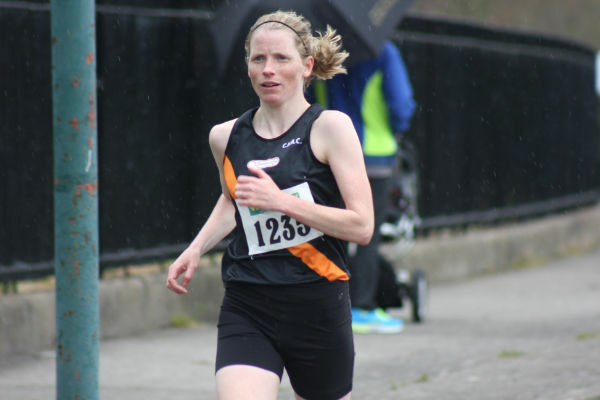 Jayme Rossiter took 3,000m sc silver (9:29.86), silver also for Sarah Woods in the 400h (65.43) and for Ian Rogers in the pole vault (4.20) while Lorna Begley took 1500m bronze (4.43.5). Good run also by Andrew Jenkinson in the 800, running 1:57.27 in his semi to qualify in 2nd place for the final and then running 1:56.81 in the final. 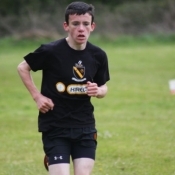 Ciaran Mackey was also a finalist, in the 400, a 51.07 semi was followed by 50.87 in the final. 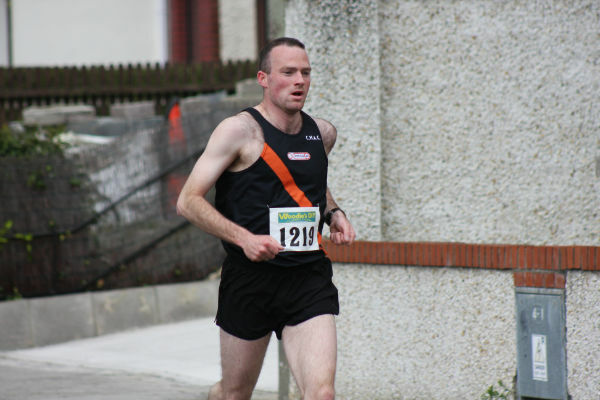 Stuart Roche recorded a time of 23.46 in the 200. 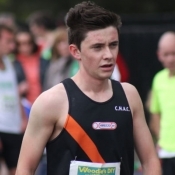 On the subject of Versities in the States Graham Mahon recorded a comfortable win for Clarke University on Saturday, the 21st, in the 1500m at the Key City Open, University of Dubuque track, Iowa. 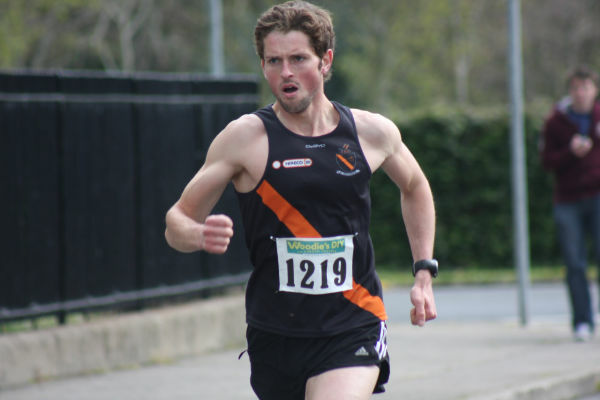 Mark Kenneally continued his build up to the Olympic Marathon, when winning his first track race of the season in Auburn, Alabama on Friday. 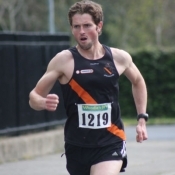 Mark is at the start of a training phase with his coach Mark Carroll, and after last weekend’s National Championship 10km win, had a comfortable 5000m win in 14.14.36 at the War Eagle Invitational.